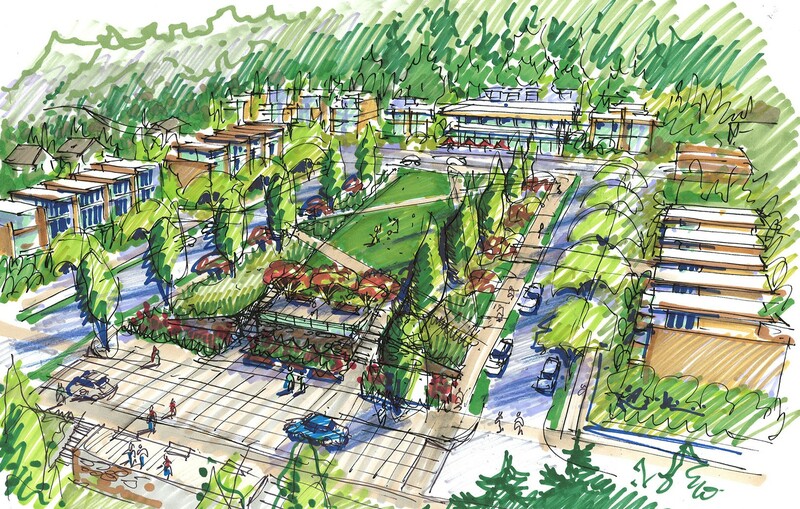 Bamberton was envisioned as a planned community on the site of a historic industrial town that was originally founded on the production of concrete using rock quarried on the steep slopes of Saanich Inlet on Vancouver Island. 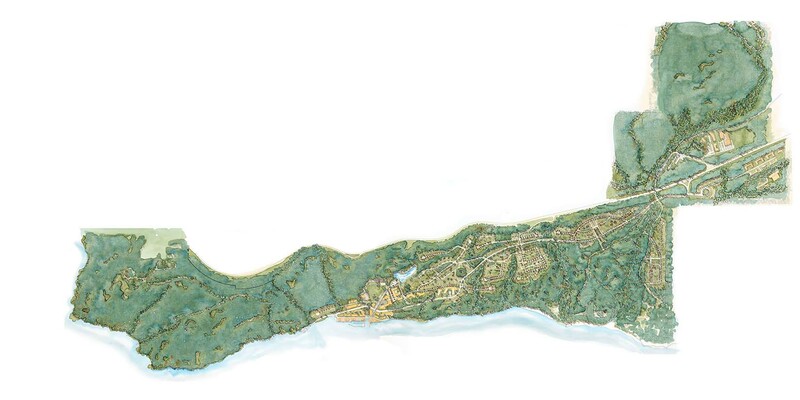 The conceptual plan, prepared in collaboration with Hughes Condon Marlor Architects, clustered development on less than 35% of the 560 hectare site. The majority of the land is dedicated to environmentally protected areas, park and recreational use. The plan considered sustainable design factors including ecologically-based industry developed around recycling, as well as efficient energy production and provided the means for residents to work close to home thereby reducing the need to commute. The design presented a series of distinctive neighbourhoods with varying housing types, ranging from cottage scale to high rise apartments all linked by a trail network. 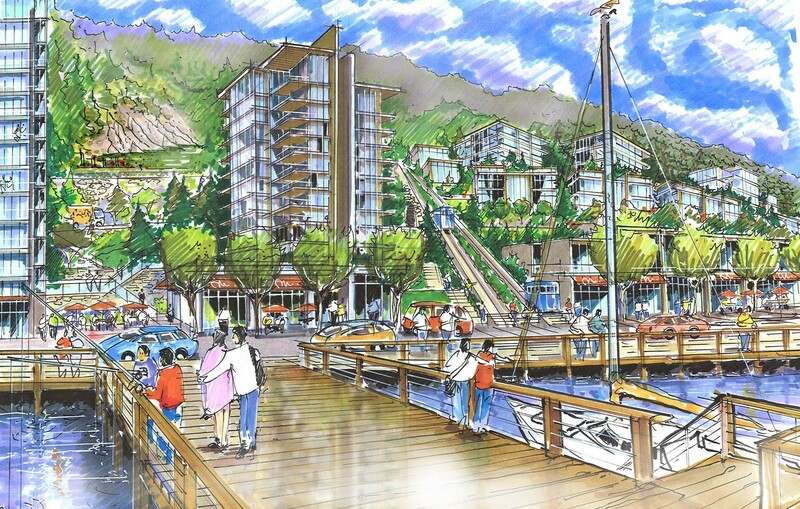 The Village Centre was planned as a resident and tourist destination and featured a funicular and a Grand Stair to facilitate movement up and down the steep slopes. 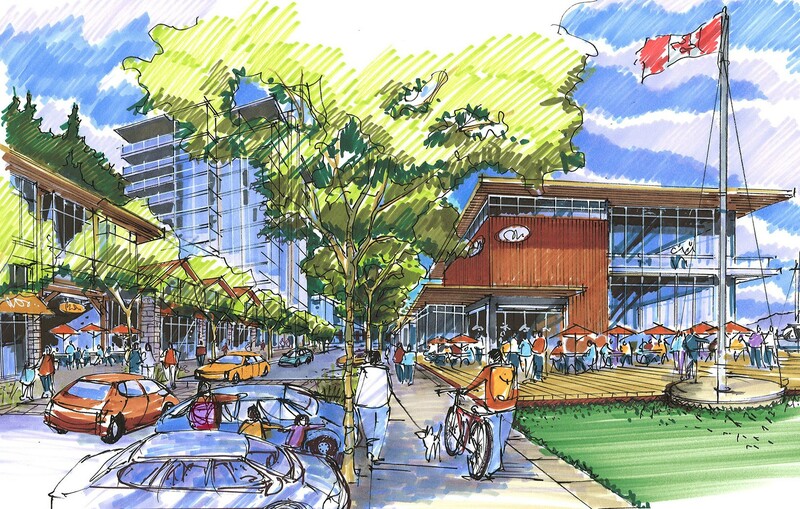 Restaurants and outdoor cafes, an outdoor amphitheater, a recreational lake within the old quarries and historic waterfront promenade were also major components of the plan.